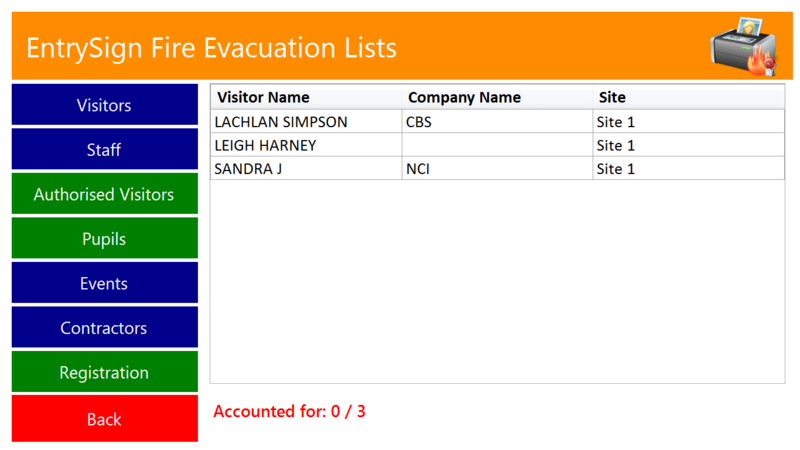 Digital Visitor Mangement Sytems for Schools, Colleges and Child Care Centres. 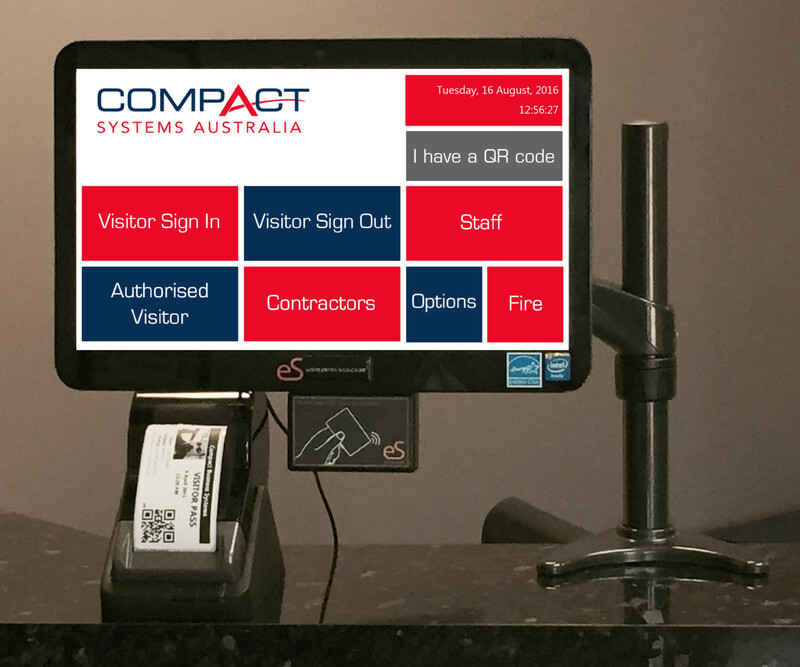 EntrySign is the original award winning visitor management system, exclusively available through Compact Systems Australia. 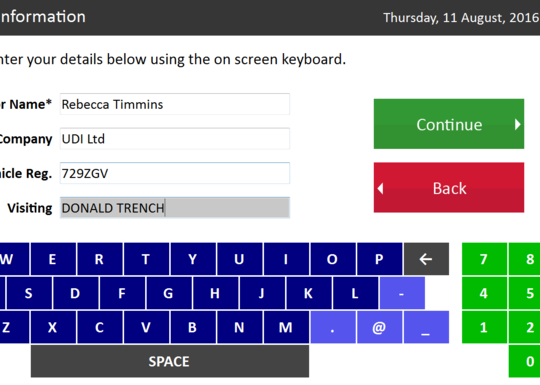 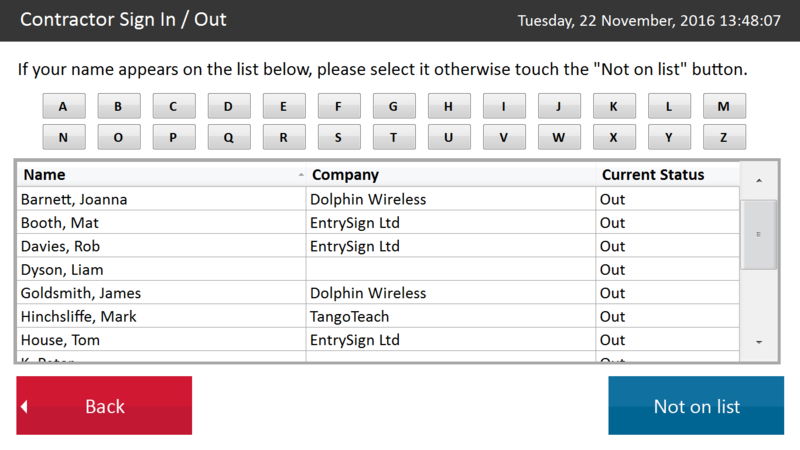 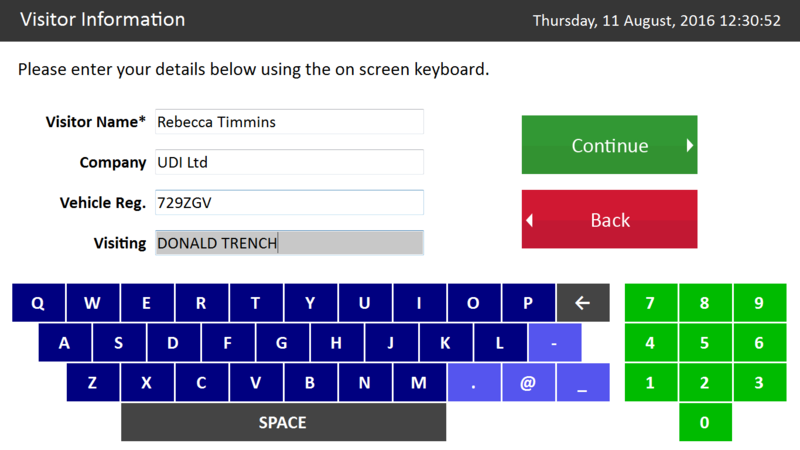 EntrySign simplifies the process of screening and signing visitors and contractors into your site, printing customised passes whilst capturing important information which can be used to generate detailed reports afterwards. 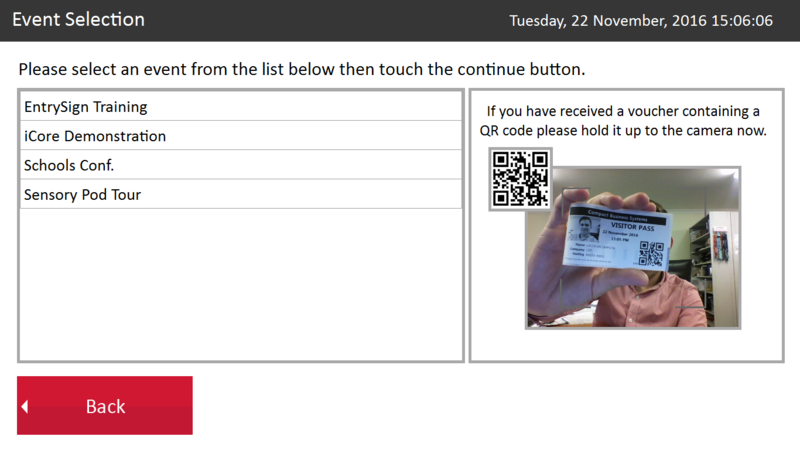 Designed specifically for education, EntrySign can help you to improve safeguarding and screening within your campus. 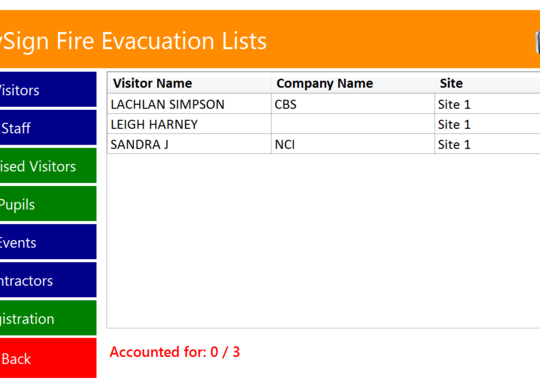 With modules for visitors, staff, contractors and students (all optional), EntrySign will further your duty of care compliance under WHSE/OHS legislation and assist with emergency evacuation planning; instantly providing a clear and accurate view of all visitors, staff, contractors and students who are on your site at any given time. 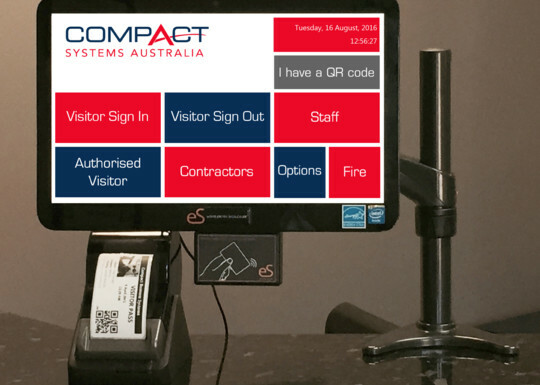 Quick and easy visitor management with self service sign in/out. 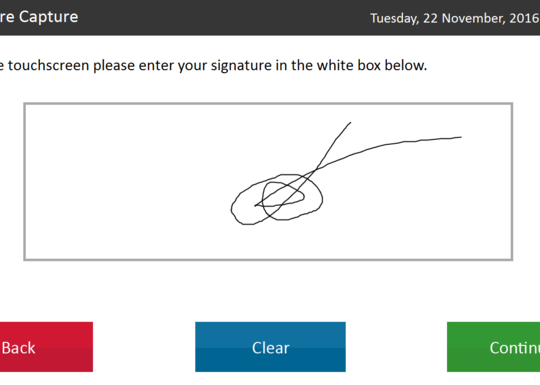 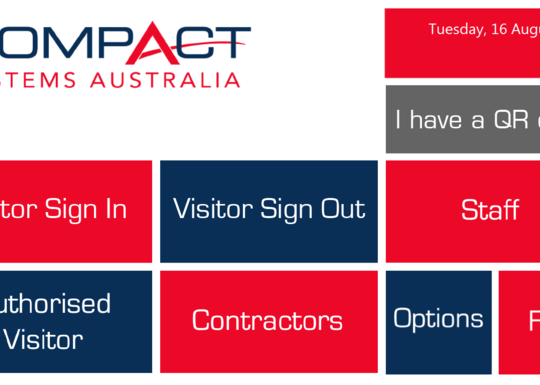 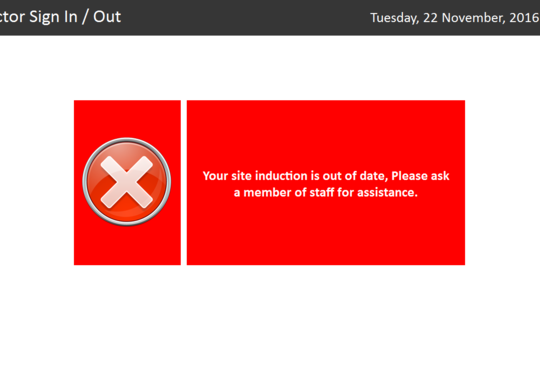 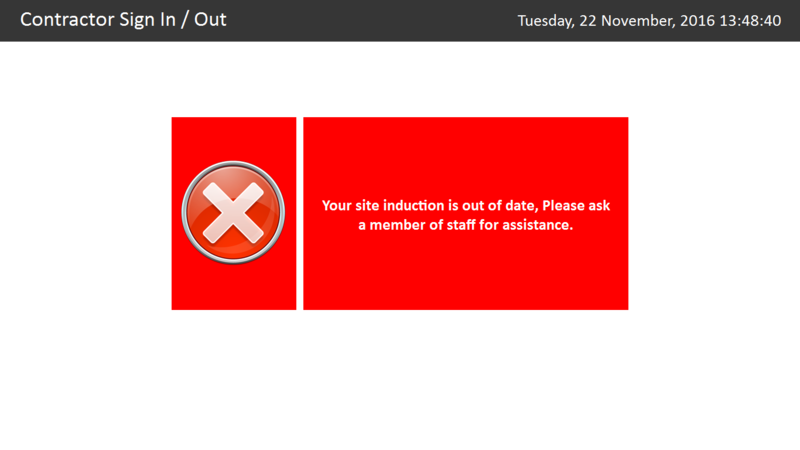 Customisable visitor policy acceptance page prior to signing in. 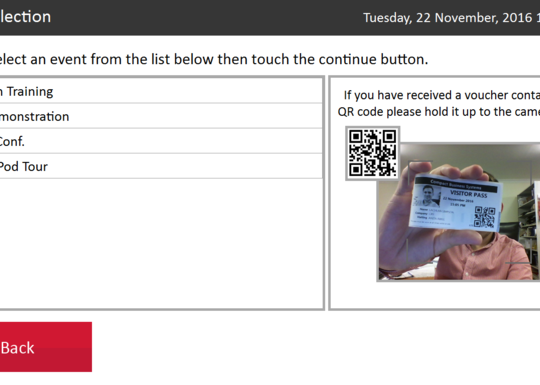 Optional photo and signature capture with photo ID badge printing. 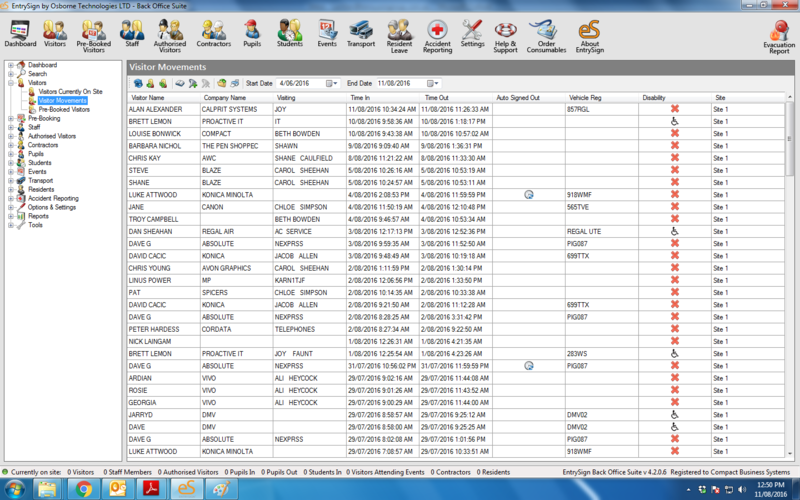 Monitor Staff attendance and time keeping. 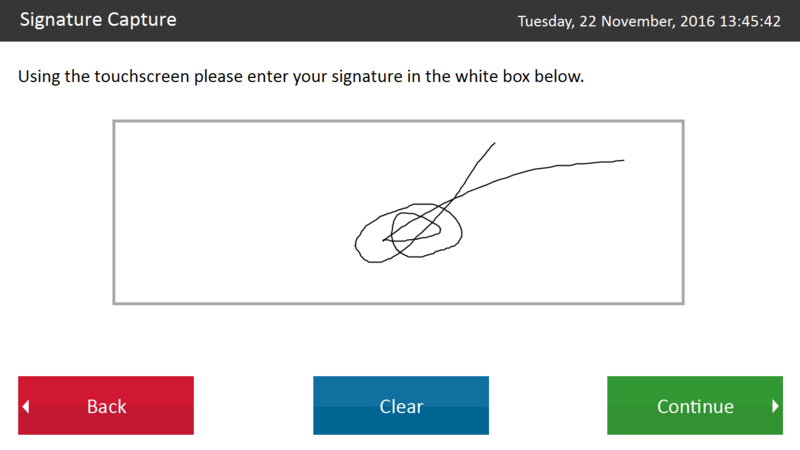 • Event management allowing visitors to sign in to events. 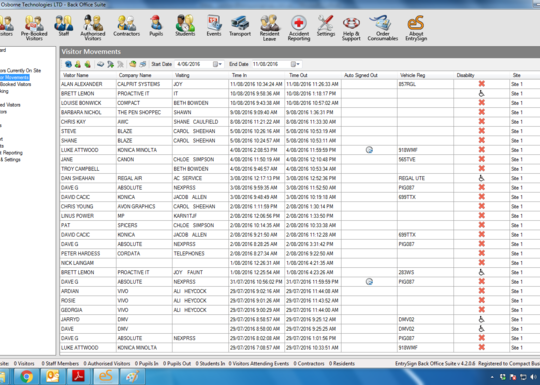 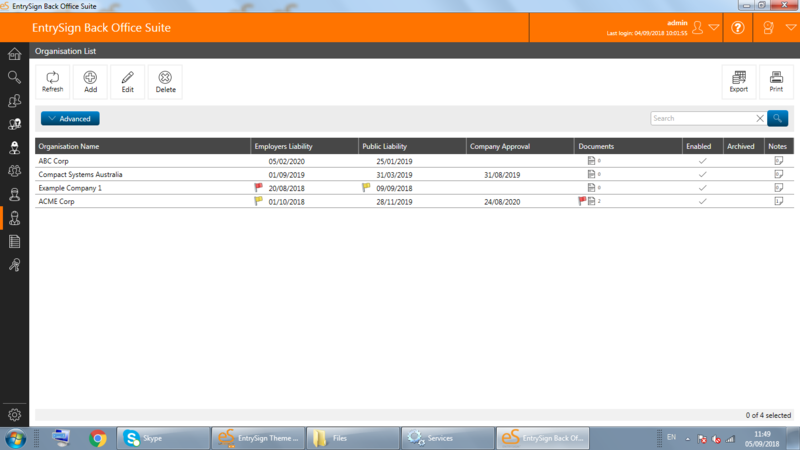 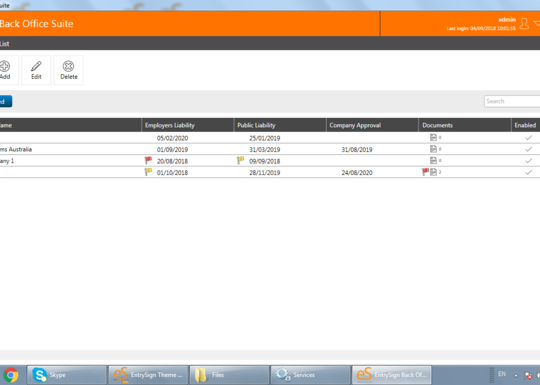 Comprehensive back-office suite for administration and reporting. 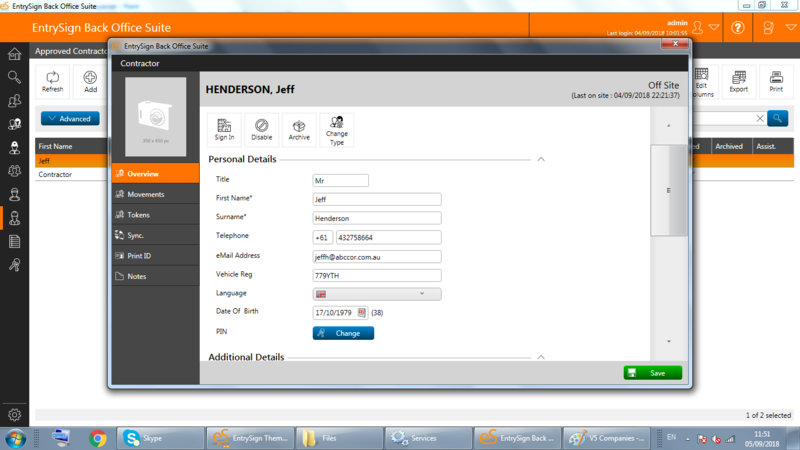 Search for visitors and contractors by name, company or vehicle registration. 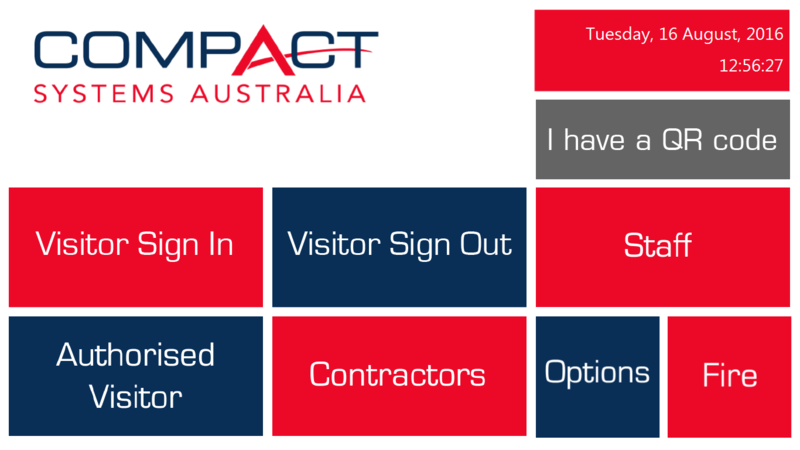 Search for visitors and contractors by name, company or vehicle registration number. 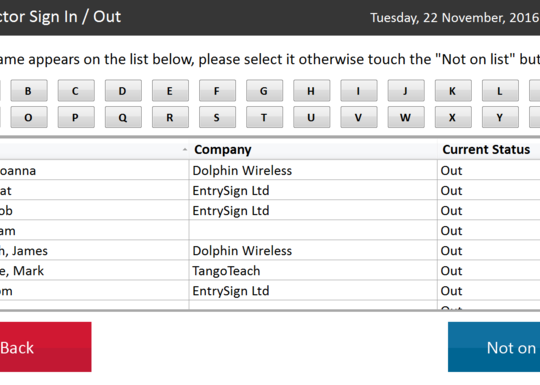 Low running costs - no printer ink, just sticky labels. 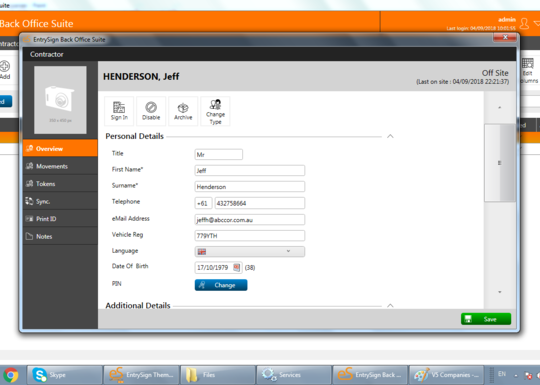 Integrates with existing door access control systems. 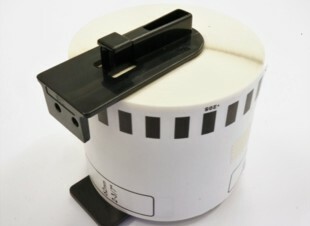 Variety of mounting options including wall or desk pole brackets.